While I was hoping for an astronaut relic, I was really excited to get a Tuskegee Airman relic. #ed out of /299, these are a bit tougher to pull and being here in Alabama, it's another unique reminder of our 2+ year stay here. 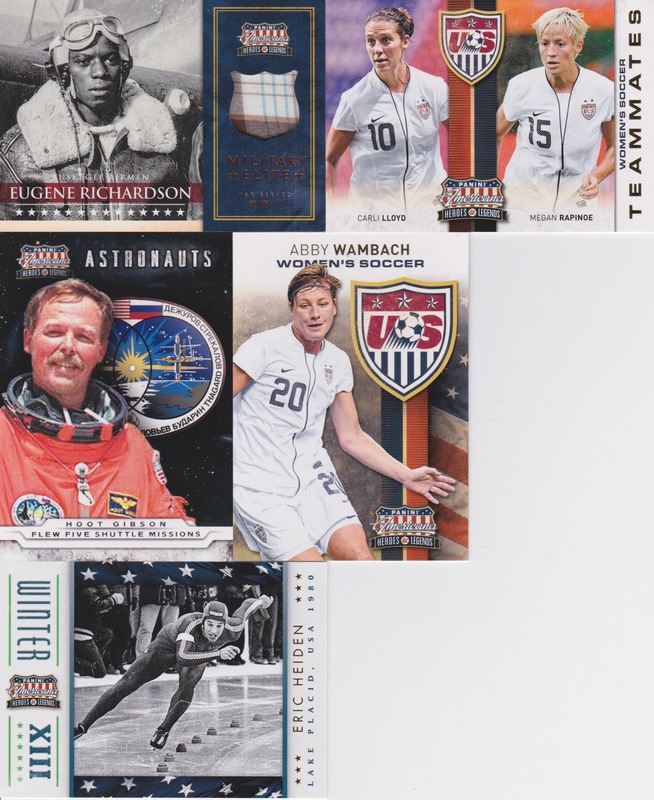 I am only about a dozen cards from a complete set, so if anyone has any base to trade on this set, let me know! I thought these were the last 4 mini's I needed for my 2012 Mini set (any back, wasn't going for just regular this time). 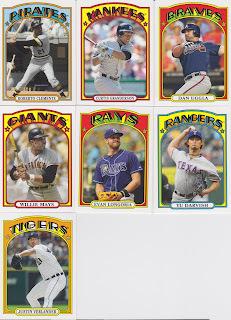 But when I went to page them, I found that my list was wrong and I now have a duplicated Scutaro. So, the Morneau that I actually need is now safely on it's way. 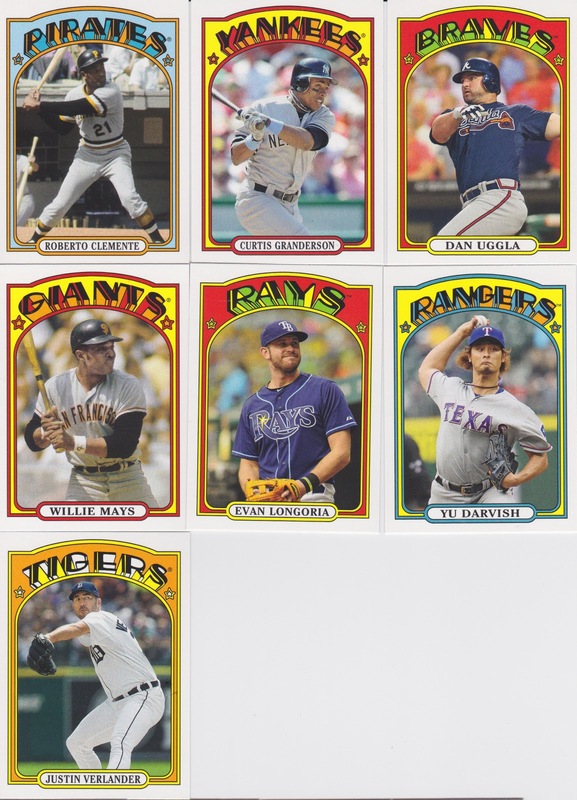 That will complete all the cards I'm looking for from the 2012 set, except for the SSP Yu Darvish that I will never get my hands on. This is where the real fun begins! Astros!!!! I got to the point with COMC where I needed base cards to fill my order to 25 cards so I could get free shipping... thus the Clemens, vintage and Berkman base/inserts. Not too shabby. 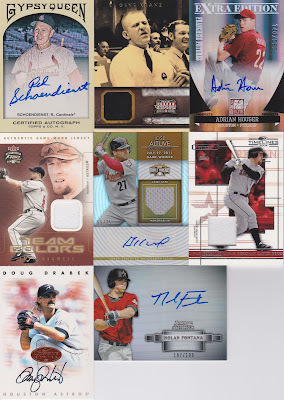 The Red Schoendiest gets me to 31 autos from 2011 Gypsy Queen... only 12 left to go... this includes 2 that are on their way from eBay! 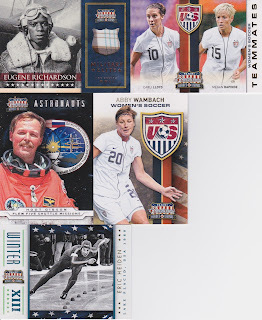 Kranz is a NASA pick up, I have the auto/relic, now I have the relic. Houser is an Astros prospect we may hear from in a couple years. Had to pick up Altuve Triple Threads at the price they were offering. 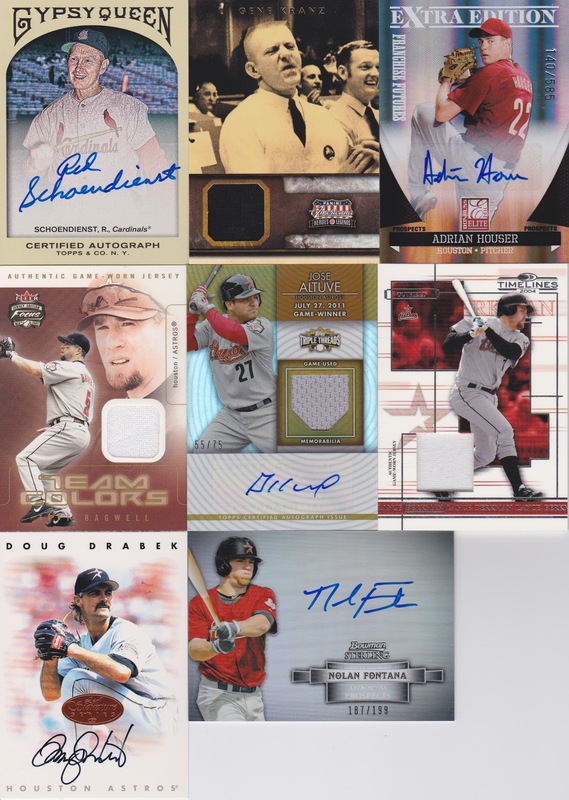 Drabek's auto was one I wanted for a while too! The Fontana is the refractor version of the base auto I already have! 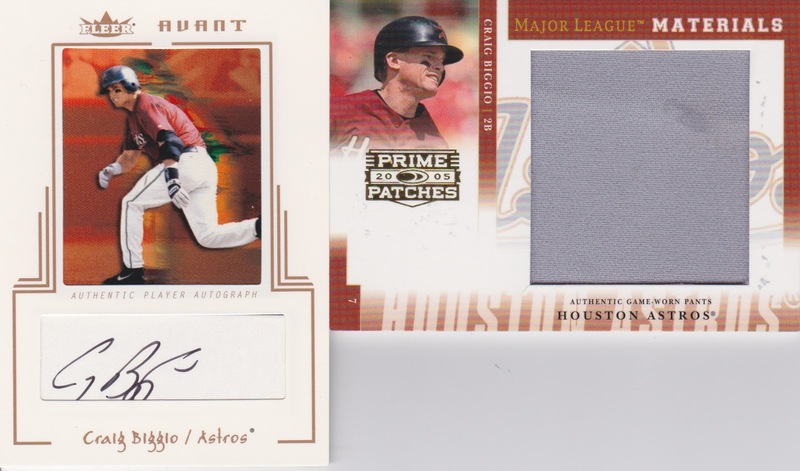 Biggio certified auto... these things are hard to come by as he apparently was not a big signer in his playing days or just didn't get asked to do so very often. Either way, this card looks great next to the big jumbo swatch! Finally, I have to show off my greatest eBAY purchase EVER!!!! 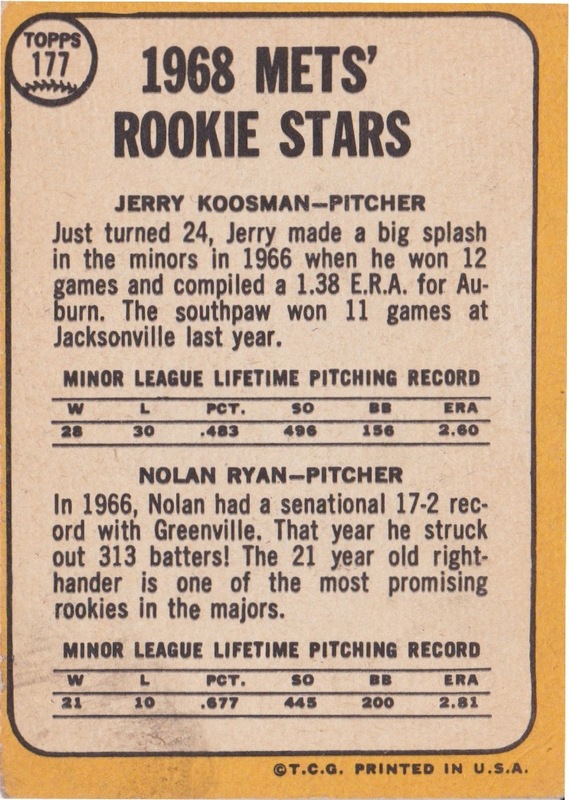 The Holy Grail of my collecting goals... the card, as a kid, that I thought was un-obtainable. I drooled over many in card shop display cases and tried to haggle a few at card shows... but finally I have it... I know this is all a little Gollum-ish, but I've waited for SOOOO long to have one of these in hand! 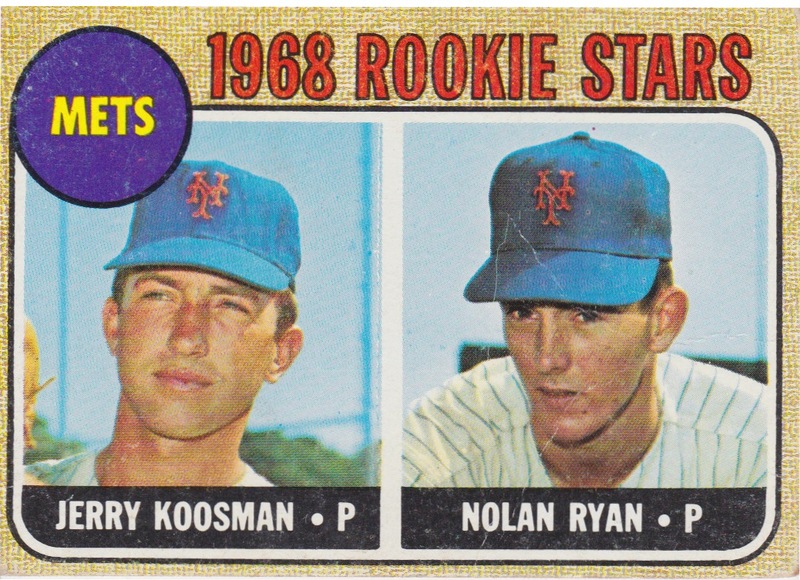 1968 Topps - Card # 177... Mets Future Stars! 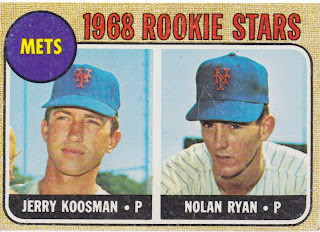 Jerry Koosman and NOLAN RYAN RC!!!!! Those who are condition guru's will probably tell me I overpaid and blah blah blah... I don't care, I know it's not in perfect condition, but maybe some day I'll overpay for a graded 10. But for now, this is awesome. I have a card that I couldn't be happier about. Slightly off-center? Yes. Some staining? Yes. Dull Corners? Yes. Prominently displayed in my baseball man-cave. ABSO-FREAKIN'-LUTELY! 20 years ago, as a 12 year old, I would have never dreamed of owning this card. It was $1500 in Beckett! Might as well dream for a Mantle rookie. But alas, the market crashed and this beauty is in my hands for well less than $200. SWEEEEEEEEEEEEEET! Opening Day everyone! The Astros are going to shock the world!!!!! I figure a .500 record at the end of the year will shock the world, so that's what I'm hoping for! Have a great day everyone!!!! i'm one of those condition guys, and i would never think to tell another collector he overpaid or made a bad purchase. it made you happy, brother, and i raise a glass to you. 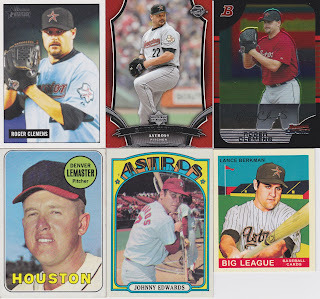 congrats on the White Whale and the Biggio! 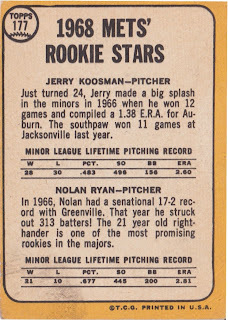 I too dreamed about the Ryan rookie as a kid (still don't have it). That's an awesome pick-up at any price! Very cool! I remember that Ryan at 1200, so less than 200 is a steal. Love the Tuskeegee Airman card too.